Try fishing in Homosassa and you'll discover one of Florida’s best kept secrets. Famous for their Scallops and a couple of world record-breaking Tarpon, these waters aren’t entirely overlooked—but they are underrated. Undeveloped coastline and a rich ecosystem make this place one of the most scenic and productive fishing spots you can find nowadays. Manatees and other wildlife perouse the local waterways, along with a year-round population of game fish. The waters may be crowded with fish, but not with fishermen. Out here, it’s just you and the backcountry. Add to that a little Homosassa hospitality, and you’ve got everything you need for the perfect getaway. Known as Florida’s “Nature Coast,” many consider Homosassa and the surrounding area to be the ultimate fisherman’s paradise. Of course, this is a title that many places like to claim for themselves, but there’s no denying that Homosassa is truly special. The key to this fishery is its unique blend of habitats. 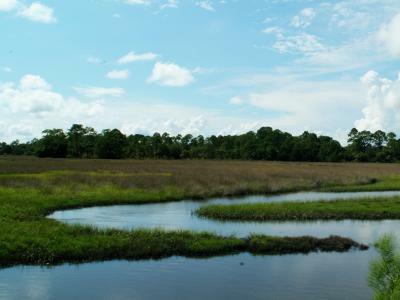 Here you’ll find 3 rivers running from fresh water springs directly into the Gulf of Mexico, feeding into various bays, mangroves, grass flats, and small marsh islands. The result is an estuary unlike any other in the state. Beyond the flats and backcountry lie a series a bays, which give way to the seemingly endless Gulf of Mexico. Fishing out here could take you more than 100 miles offshore, where you’ll discover yet another fishing paradise. 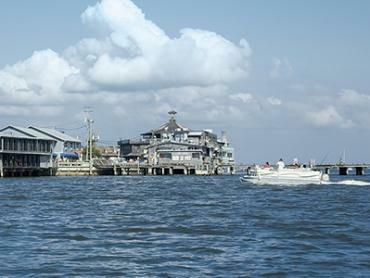 These two rivers are a choice location for inshore fishing and Scalloping. 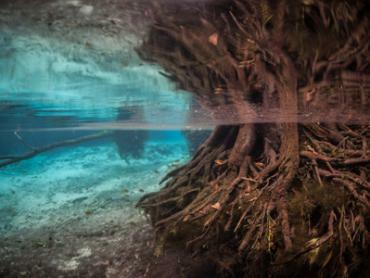 Both originate in freshwater springs and empty into the Gulf of Mexico, where the nearshore waters are sprinkled with marsh islands, grass flats, oyster bars, mangroves, and other rich habitats. It’s here, where the Homosassa and Crystal rivers meet the Gulf, that you can indulge in Florida’s best Scalloping. The local Scallop season runs from July to mid September. Anglers cast lines here for Redfish, Speckled Trout, Snook, Flounder, Black Drum, Sheepshead, and Mangrove Snapper throughout the year. You can also catch Jack Crevalle, Tripletail, Gag Grouper, Cobia, and Tarpon, depending on the season. 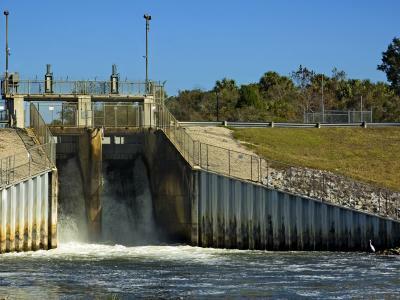 It’s not uncommon to encounter Manatees, Bald Eagles, and other wildlife while traveling down these rivers, which makes fishing in Homosassa especially appealing to nature lovers and families with children. Heading into Homosassa Bay and turning north brings you to the Saint Martins Keys. These mangroves are the best place to target Redfish in winter and summer, when they come to feed on multitudes of their favorite baitfish. 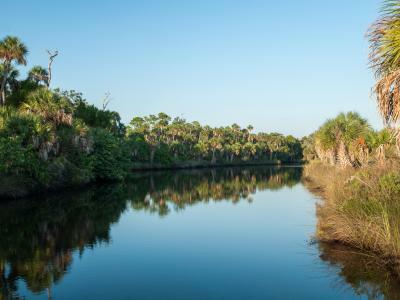 Yet another river that empties into the Gulf is the Chassahowitzka River, south of Homosassa. The surrounding area, also called Chassahowitzka (or “The Chass” for short), has a very distinct appeal to inshore game fish, which makes it one of the most productive fishing spots around. Here, the bottom structure is made of flat-topped limerock islands, surrounded by seaweed meadows. The warm Florida sun heats the rock, which makes for some very cozy nooks and crannies. Fish moving inshore to escape cooler water in the Gulf like to get warm here. 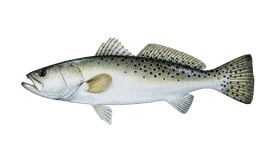 The surrounding seaweed hosts lots of baitfish, giving species like Redfish and Speckled Trout no reason to leave in a hurry. 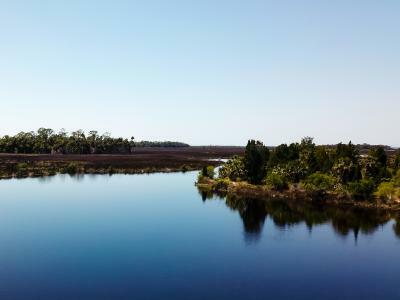 South of the Chass sits Black Rock Hole, Homosassa’s prime location for Tarpon fishing. It was here that James Holland Jr. landed his world record-breaking Tarpon in May 2001—a 202 lb whopper, the largest ever taken on fly. Most of Homosassa’s Tarpon have been caught here ever since, mostly between April and June. 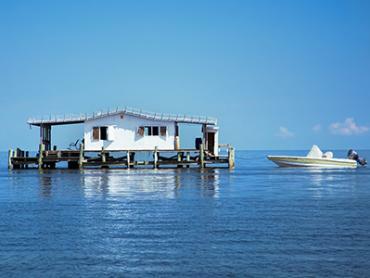 For a totally different Homosassa fishing experience, try fishing offshore in the Gulf. Twenty-five to 30 miles out, you’ll find a wide variety of bottom fish biting near the wrecks and reefs. Common catches include Snapper, Grouper, Hogfish, Black Seabass, Triggerfish, and Amberjack, in addition to a few pelagic predators like Cobia and King Mackerel. The season for Red Snapper typically opens from June to late July, and this is when you’ll find some captains offering charters dedicated specifically to catching this species. It takes about 40 minutes to an hour to reach the offshore fishing grounds, and you’d be hard pressed to find a captain in the area who runs trips any shorter than a full day. 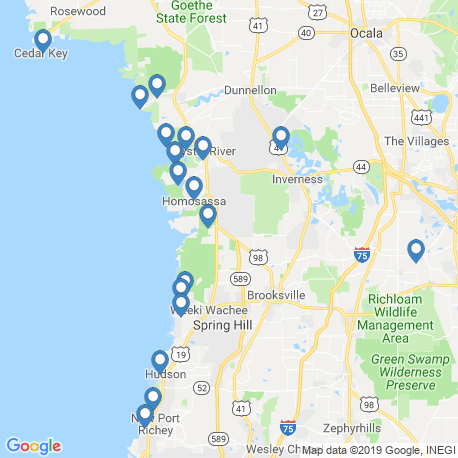 Some 95-145 miles off the coast of Homosassa are “The Middle Grounds,” a unique fishing spot where anglers hook into pelagic fish and bottom dwellers year-round. With 50-100' ledges and depths ranging from 70-170 feet deep, this part of the Gulf never sees water temperatures below 70°F. Similar to the Chass, this attracts fish seeking warm water and baitfish—only these guys are much bigger! Here you’ll find a wide variety of Snapper, Grouper, Amberjack, Hogfish, Barracuda, Cobia, and more. Homosassa fishing charters have some of the most affordable rates you can find for private charters in Florida. Inshore trip prices typically cover the first 2 passengers, with a fee of $50-$75 for each additional passenger. Half day trips cost $300 or $350, while full day trips range from $400-$525. Homosassa Scalloping charters range from $275-$350 for shorter trips (4-6 hours). 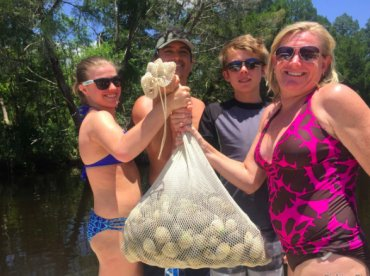 Full day Scalloping trips and Scallop-fishing combo trips cost around $400. Offshore fishing charters range from $800-$1,000 for a full day trip, and these rates usually cover the first 4 passengers. You can expect to pay $100 for each additional guest. Red Snapper trips are generally $1,500-$1,600, depending on how far from shore you plan to fish. Inshore fishing involves a variety of techniques such as spinning, drift fishing, baitcasting, and fly fishing. You can expect to use light tackle and bait such as Crabs, Shrimp, and small baitfish that inshore species regularly feed on. Depending on the species, popular artificials include small jigs, plugs, and flies. 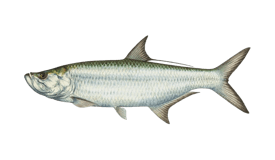 Targeting adult Tarpon usually calls for heavier tackle (unless you are an experienced light tackle fisherman). You can use a 20-30 lb conventional outfit or equivalent spinning gear. Fly fishermen can use an 11 or 12-weight rod. Offshore fishing in the Gulf mostly involves bottom fishing and trolling. Drift fishing, jigging, and bottom fishing near wrecks and reefs produces Snapper, Grouper, and other fish feeding near the seafloor. You’re likely to troll near the wrecks and on your way out for Cobia, King Mackerel, and Barracuda. Scalloping requires very little skill aside from the ability to swim. This involves diving into water 5 or 6 feet deep and collecting Scallops by hand. Plan to bring a snorkel, mask, and fins (some charters provide these, but extra fees may apply). 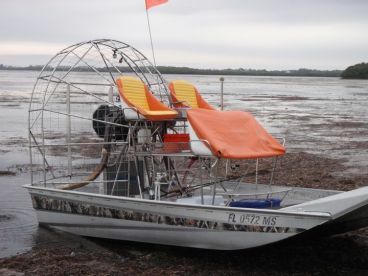 Anyone age 16 and older must have a Florida fishing license to go fishing or Scalloping in Homosassa. All licensed charter boats provide a fishing license for customers. While you're likely to catch some fish year-round, certain species may be closed to harvest. The season for Gag Grouper opens from June through December. Red Snapper season changes annually, but you can usually expect it to open between June and July. 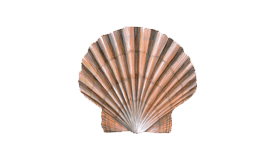 The Scallop season is also subject to change from year to year, but it usually opens in July and closes in mid or late September. Your captain will help you to fish according to the regulations outlined by the Florida Fish and Wildlife Conservation Committee. 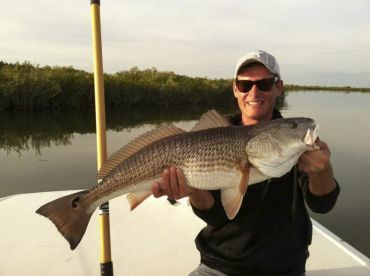 Fishing on the flats and in the rivers is perfect at the start of the year, when Redfish and Speckled Trout make their way inshore to keep warm. You might even head out to the Saint Martins Keys. 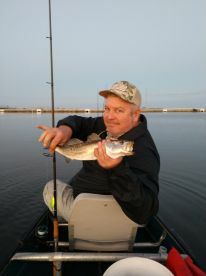 Great fishing for Redfish and Speckled Trout continues. 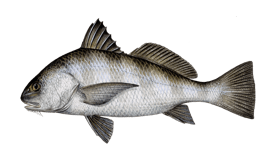 You’re likely to catch a variety of other species inshore, too, including Flounder, Black Drum, Sheepshead, and Snook. Fishing for Speckled Trout gets even better in spring, and Cobia are starting to appear close to shore. 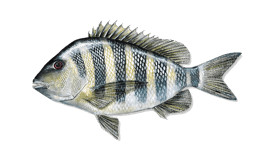 Out on the reefs, you can catch Seabass, Hogfish, and some Grouper species. The fishing in Homosassa is fantastic in April! 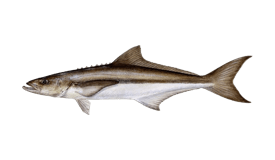 Snook and Cobia are reaching their peak seasons, while Redfish and Speckled Trout are biting more than ever. Keep an eye out for Tarpon. Tarpon fishing is in full swing by May. With average temperatures around 76°F, the weather is perfect for an offshore run to the reefs, where you might land Grouper, Hogfish, Amberjack, and much more. June is the best time to head offshore, when the seasons for Gag Grouper and Red Snapper finally open to fishermen. Of course, there might be a record-breaking Tarpon inshore with your name on it. Scallop season is open! Soon the rivers will be full of tourists eager to bring home a sack full of these mollusks. Inshore game fishing has never been better, with your choice of Tarpon, Snook, Redfish, and more. The summer hype continues, with excellent fishing everywhere from the rivers to The Middle Grounds offshore. 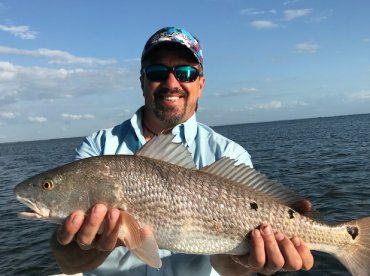 Redfish are peaking for the first time since spring, while the last of the Tarpon are giving anglers a run for their money. Scallop season will be closing soon and you’re not likely to find any Tarpon near Homosassa by the start of fall. 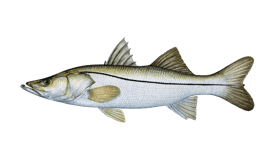 But it’s still a great time to fish for Snook, Cobia, Redfish, and other species inshore. If the weather allows, this can be a great time to hit the reefs for Grouper, Seabass, and more. 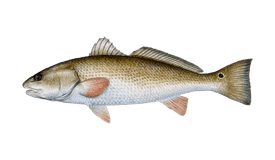 Fishing inshore will produce all the usual suspects, including Redfish, Speckled Trout, and Sheepshead. Some of the biggest Redfish around here are caught in November, when the weather is nice and cool. Bottom fish will be biting more on the reefs, just be sure to check the weather forecast before heading out. 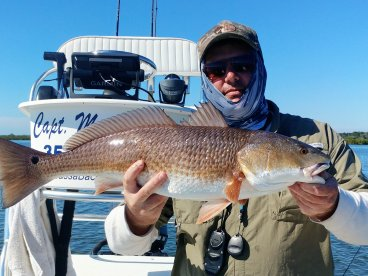 Winter is a great time to fish inshore for Redfish, Speckled Trout, Sheepshead, and other game fish. Average temperatures are around 60°F. "Half Day trip with Capt. David"
Always book a top rated guide anytime you are going to a new area. 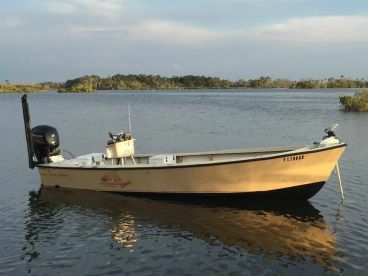 Sit back, Enjoy the ride & scenery of the Homosassa River....Once he positions the boat, be ready to have some fun & catch your fish...?? "8hour fishing trip with Captain Matt Locklear." The only disappointment was there was no toilet on the boat. Everything was provided except food and drink. Just bring snacks and drinks, you will have a great time. What would you recommend to anglers fishing in Homosassa, Florida for the first time? What would you recommend to anglers fishing in Homosassa, Florida for the first time?